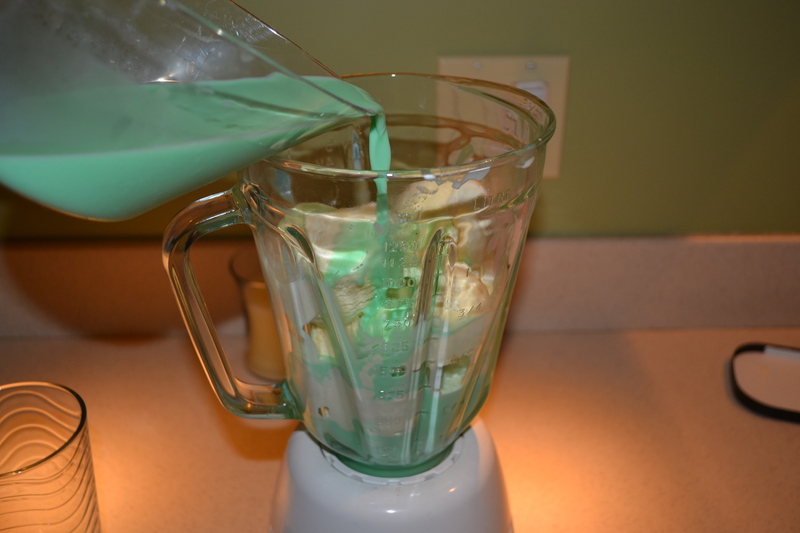 DIY: St Patty’s Day Shakes! If you’ve been waiting on pins and needles for my first DIY post, (as I’m sure is the case), you probably didn’t expect the first one to be a four ingredient food…that’s seasonal….and officially out of season. But it is all of those things. It is also delicious. 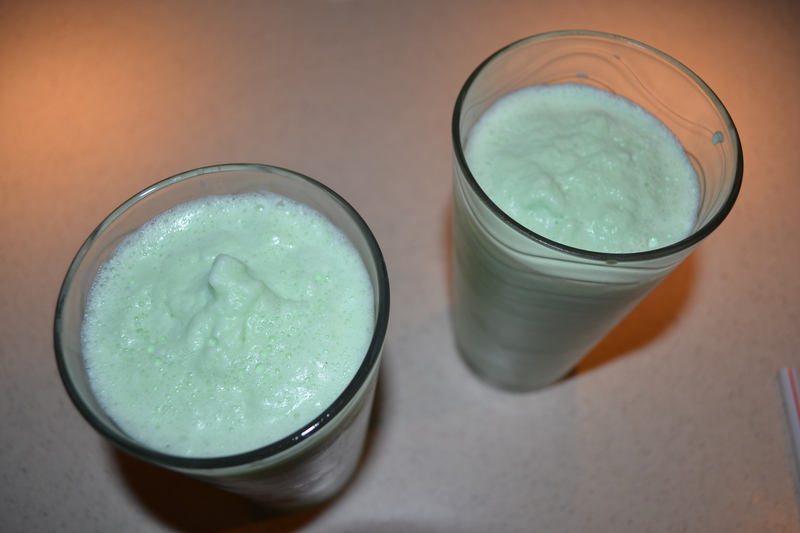 On Saturday, we made our own version of Shamrock Shakes! We used roughly 3 cups of vanilla ice cream (10 scoops…ish) and a mixture that included 1 1/2 cups of milk, 1/2 tsp of peppermint extract, and a few drops of green food coloring. I did not use soap, that just crept in to the background. 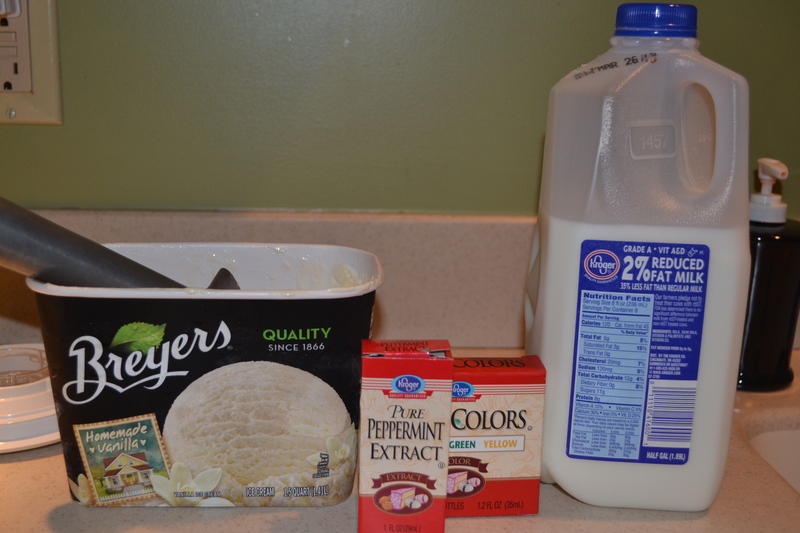 Stir the milk mixture so that it is a consistent green color, and pour over the ice cream in a blender. Blend until smooth and creamy. I then poured in to glasses, and put the glasses in to the freezer for a few minutes. These were yummy! And if you like mint flavored goodness (and shame on you if you don’t) then you’ll love them too! No leprechauns were harmed in the making of this post.